Wearing Tabi Provides Better Health Than Wearing Shoes. 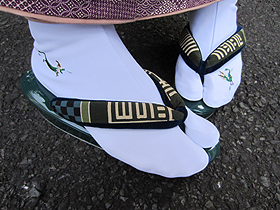 The Tabi was innovated in the Japanese country, because all traditional footwear has the sandal strap. If those traditional items, kimono, clogs and Japanese sandals, didn’t exist, the Tabi wasn’t born. 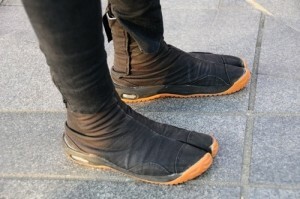 A Jika Tabi (work Tabi, split-toed heavy cloth shoes with rubber soles) is able to wear on the direct outdoors. 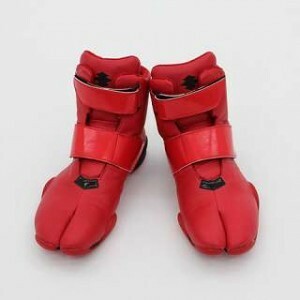 It’s made main body by strong cloth and put strong rubber at the bottom. So, it like a shoes. Wearing it provides better health than wearing shoes. Because it is easy to walk, the body doesn’t take the burden,reducing the back pain and the valgus hallux. The foot is the same as a hand, so the interval of a thumb and the forefinger is important when our hands need force. Using thumb and forefinger separately gives much stronger power than using five fingers. The foot is also same. Separate tiptoe can get force, so it’s easy to do heavy work. Recently, the Tabi is developing to practical, stylish shoes while it keeps a tradition. 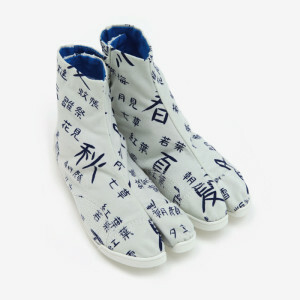 I am glad as a Japanese to see development to the Tabi, which is presenting a traditional, stylish and healthy product . I am looking forward to seeing much evolution of it from now on. 2 Responses to "Wearing Tabi Provides Better Health Than Wearing Shoes."